A couple weeks ago, my son Ben and I traveled to Ciudad Juarez, Mexico on a mission trip. He and I are working on a video post to share our amazing experience and will post that soon, but we thought you might enjoy this refreshing recipe for aguas frescas at your summer parties and festivities. Aguas frescas are made from fresh fruit, a bit of sugar and water. Served chilled, these refreshing beverages are relatively healthy — especially compared to soda — and taste great! They can be made with any seasonal fruit in just a few minutes. In Mexico, the beverage is generally ladled from a vitrolero, a large beehive shaped jar. The beverage is available at restaurants and from street side vendors throughout the country (and in other Caribbean nations). We were fortunate to enjoy this drink during our trip, thanks to Rosie and the other wonderful ladies who cooked for us all week. The aguas frescas prepared for us were lightly flavored, not as heavy as the fruit juice and sodas we are used to in the United States. The aguas frescas we enjoyed were not usually sweetened, probably because Rosie used ripe fruit! In a small saucepan, make the simple syrup by dissolving the sugar in water over low heat. Stir until completely dissolved, the remove the syrup from the heat and allow it to cool. Coarsely chop (and remove seeds) from the fruit and puree in a blender. 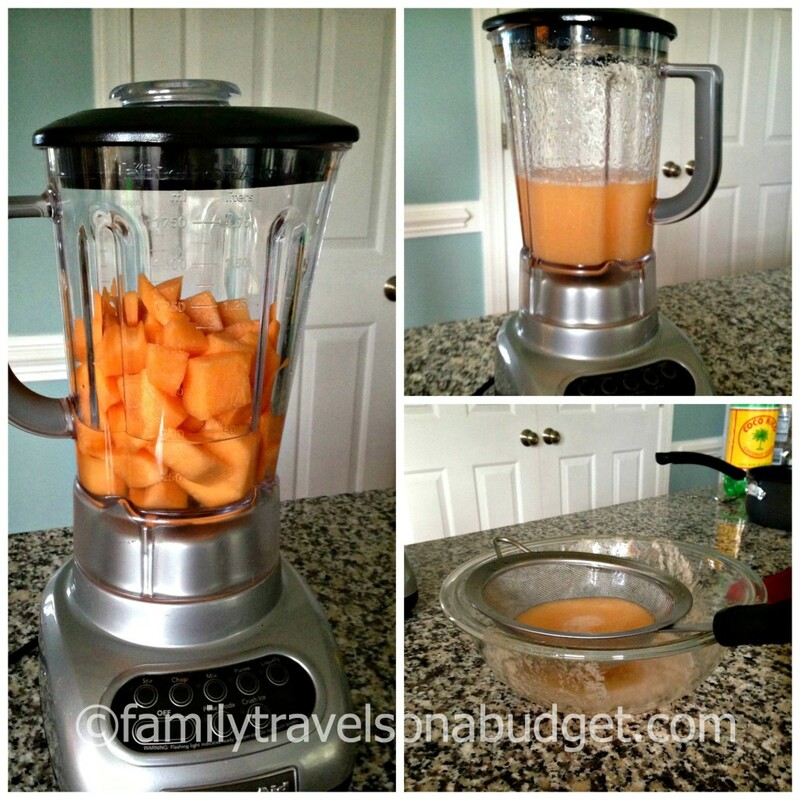 Strain the pureed fruit to remove pulp. You can strain directly into the vitrolero or other large pitcher. Add cold water to the strained fruit (fill to about 3/4 full). Taste and add simple syrup as needed to reach desired sweetness. Top off container with ice and enjoy. 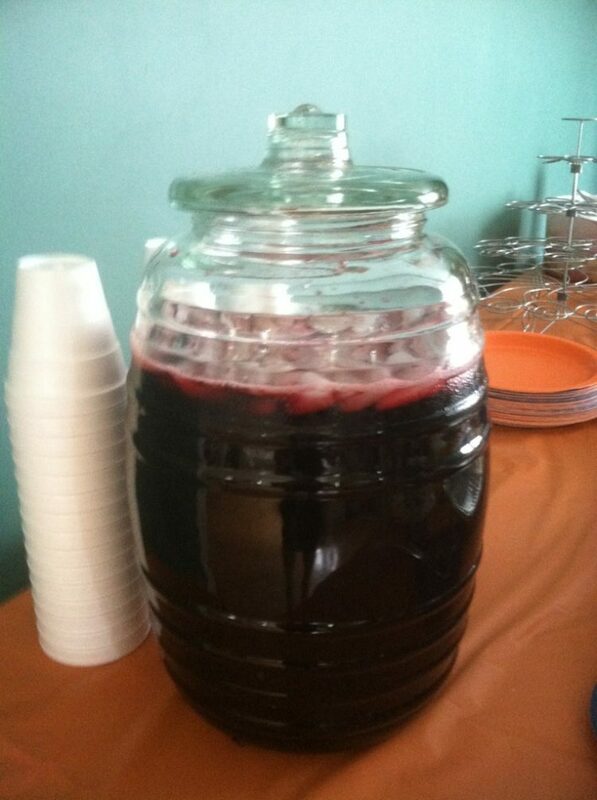 To make a huge batch for a party, just repeat the process and strain the liquid into a larger container such as the vitrolero like Flor who writes at Mi Casa is Your Casa, here displaying hibiscus tea. 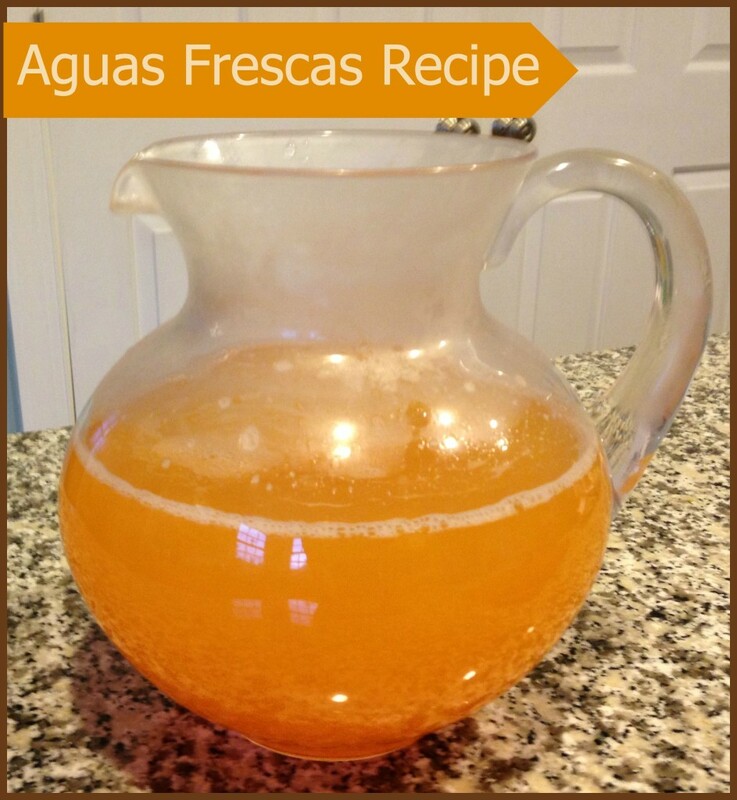 Once you discover aguas frescas, you’ll definitely want to expand the recipe. We discovered lots of awesome recipes online — take your pick. We highly recommend the pineapple-coconut, watermelon-lime and honeydew. We also enjoyed Hibiscus Water and Horchata, which are similarly prepared and equally refreshing. Herbed aguas frescas from “The Kitchn.” What else will you do with all that mint growing crazy in the garden? We never heard of aguas frescas before our last trip, but they are obviously popular. We certainly will be enjoying a variety of aguas frescas all summer! Just think, the kids will get their vitamin C, I’ll use up leftover fruits the easy way, and we will remember Mexico all summer long! *That’s Spanish for bon appetit! Oh my, yummy and good for you. I like that. Visiting from Adventures in Mindful Cooking. Liking you on facebook and following on Pinterest. I took a look at this last week and I came back to tell you we tried it and loved it. Thanks! Amy, So glad you liked it. We’re trying peach flavored today! That sounds great for a hot summer day! It sounds refreshing; perfect for BBQ parties. Muchos gracias for the recipe! Looks delish! 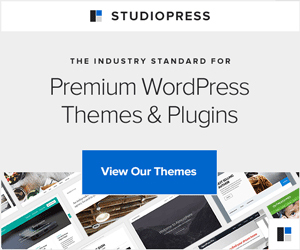 I just read your About Me on the sidebar – didn’t realize that you were a “retired” lawyer as well!